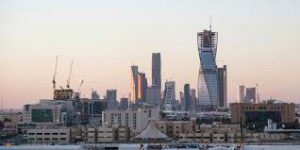 RIYADH – Saudi Arabia has arrested more than 2.5 million people for violating residency, labour and border regulations. According to an official report just released, the year-long campaign to crack down on violators began in November 2017 and has since led to arrest of 2,504,037 offenders. It is not clear whether Ugandans were part of the netted group but conservative estimates put official numbers of Ugandans in Saudi Arabia at 20,000. Many more are thought to be working there illegally as unscrupulous individuals still bait Ugandan youth with informal jobs in the Gulf country. About two years ago, there were reports of hostility meted out on Ugandans in Saudi Arabia until both countries signed a General Labour Recruitment Bilateral Agreement on December 31, 2017 that allows Ugandan professionals to seek employment in the Arab country. According to local media, out of the total number of violators arrested, 1,949,024 were held for abusing residency regulations, while 383,033 people were held for disrespecting labour regulations. Arab News reported that 171,980 people were caught for border violations while 41,233 were arrested while trying to cross the border into the country. Of the 41,233 arrested, 51 per cent were Yemeni citizens, 46 per cent were Ethiopians and 3 per cent comprised of other nationalities. The report further says that immediate penalties were imposed against 385,898 offenders and 637,507 were deported. The Saudi government took various decisions for the remaining offenders.